Fall is a dynamic time of year at the Los Angeles Zoo and Botanical Gardens, where animals from around the world bask in the cool temperatures as special events offer visitors a plethora of new experiences. Enjoy viewing new additions to the zoo family, such as two baby Francois’ langur monkeys, a blind California sea lion named Buddy that was rescued from Manhattan Beach, a female Asian elephant named Shaunzi, and one of the world’s tallest babies, a Masai giraffe that was 6 feet at birth. Couple those with rare species like Tasmanian devils, Grevy’s zebras and Calamian deer, and the zoo is undisputedly one of the best places to enjoy a day of fun that is also educational. The 113-acre zoo features more than 250 animal species. Stroll the Australian outback, visit the tropics of Asia and immerse yourself in the jungles of Central and South America. 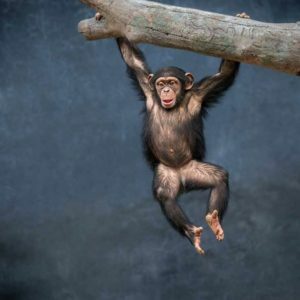 See rare primates in the Chimpanzees of the Mahale Mountains habitat and the Red Ape Rainforest, and enjoy a glimpse of Thailand, India and Cambodia in the Elephants of Asia exhibit. The LAIR (Living Amphibians, Invertebrates and Reptiles) houses more than 70 species for fans of creepy-crawly creatures. The zoo is also one of the only places where the world’s largest lizards – komodo dragons – can be seen. And don’t miss the lions, tigers, hippopotami, gorillas and other familiar species that are perennial crowd-pleasers. 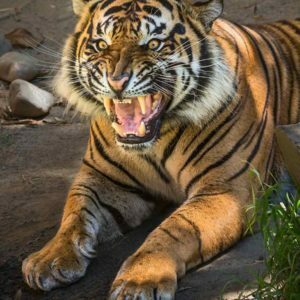 The Los Angeles Zoo and Botanical Gardens’ special programs also make fall an engaging season at the zoo, with fun for the entire family. Weekends in October are filled with fun for younger guests, including pumpkin carving, puppet shows, animals feedings and up-close encounters with the zoo’s smaller residents. October heralds Halloween, and families won’t want to miss “Boo at the Zoo,” featuring a frightening maze and scary activities. As the holiday season approaches, the zoo is bathed in color during “L.A. Zoo Lights,” a dazzling wonderland of nighttime holiday magic. Hundreds of thousands of LED lights are arranged in breathtaking displays, illuminating the darkness and creating an atmosphere of wonder and delight. “L.A. Zoo Lights” runs from Nov. 17 through Jan. 7, offering unique photo ops befitting of the season. The zoo is also one of the only places to see Santa’s furry friends during the holidays in “Reindeer Romp,” running from Nov. 17 through Jan. 7. Children can have their photo taken with Old Saint Nick in the Reindeer Village. 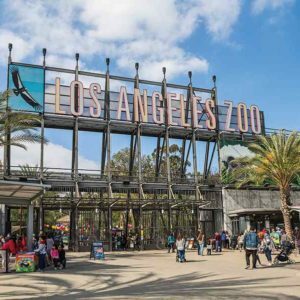 Whether you’re looking for an educational experience, a walk through exotic locales or a day out with the kids, the Los Angeles Zoo offers the perfect place for fall fun. And with special events, changing exhibits and new animal arrivals, visitors can be assured that no trip to the zoo is ever the same.